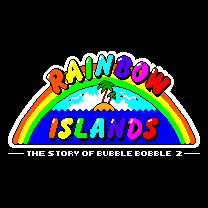 The subtitle is "The Story of Bubble Bobble 2" on the title screen and "Story of the Bubble Bobble 2" on the box. 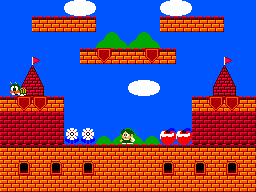 The story of Bubble Bobble continues! 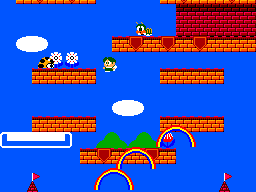 Bubby is on a magical, mysterious journey. 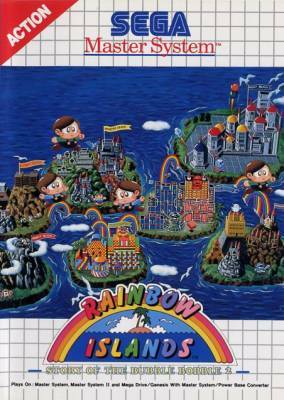 The good people of the Rainbow Islands are being held prisoner, and only Bubby's rainbow power can save them! 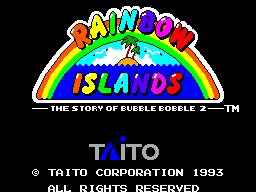 There is a development page for Rainbow Islands (The Story of Bubble Bobble 2). Visit it to see technical discussion of this game.